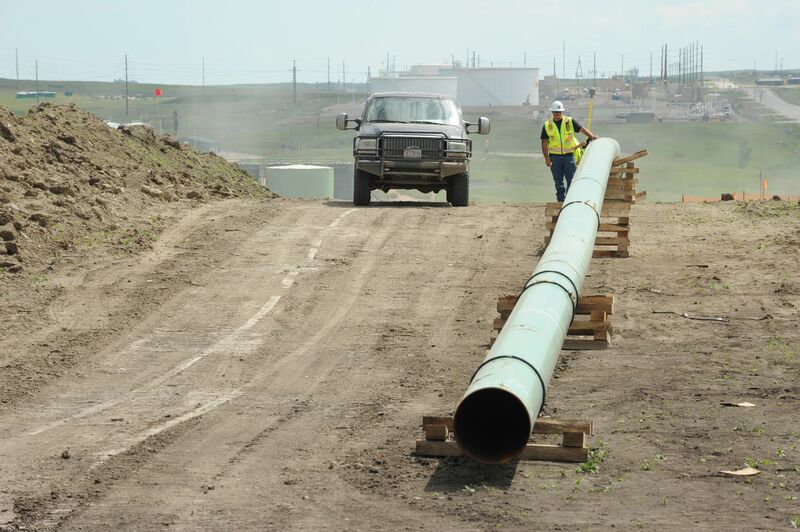 An article in today's Williston Herald explains why construction is moving ahead on the Dakota Access pipeline following a second favorable court decision, despite requests by federal agencies to "voluntarily" suspend work with 20 miles of Lake Oahe. The piece also discusses the safety measures that will be used to protect the Missouri River and the exhaustive review process that was conducted by the Public Service Commission before the project was approved, as well as the negative impact of aggressive protest tactics on local landowners. Read an excerpt on the impact of halting construction below or the full article here. Kevin Pranis, marketing manager for the Laborer’s International Union of North America, which has 400 members involved in building the Dakota Access pipeline in North Dakota, said it is his understanding the company intends to build in all areas where they have a legal right to build. “If the company were to voluntarily halt construction based on issues that have already been addressed by the court, the cost to our members, union contractors and the project would likely be immense,” Pranis said. Stopping work at this point would cause a number of layoffs, and the loss of wages, as well as big costs to the contractors and pipeline owners, as equipment and manpower would have to be redeployed or left sitting idle. “We have yet to see anyone offer to pay our members wages while they wait around for federal agencies to reach the same conclusion the courts have already reached: the project was lawfully permitted and should be allowed to proceed so we can accomplish the goal of reducing the use of less safe rail transport,” Pranis said.